Atos, a global leader in digital transformation, announces the Bull Sequana X1310, the first productized supercomputer to use ARM processors. This new model is part of its Bull Sequana X1000 supercomputer range. 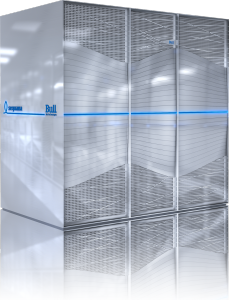 Bull Sequana is an open range of supercomputers that is ready to support future Exascale technologies – which will make it possible to process a billion billion operations per second. As datacentres consume ever more power and generate more heat, equipping servers, especially those of supercomputers, with highly energy-efficient ARM processors is a logical choice as it enables them to address performance, power and cost issues. ARM is the industry’s leading supplier of microprocessors, with proven expertise and strong market share (over 90%) in the smartphone industry. 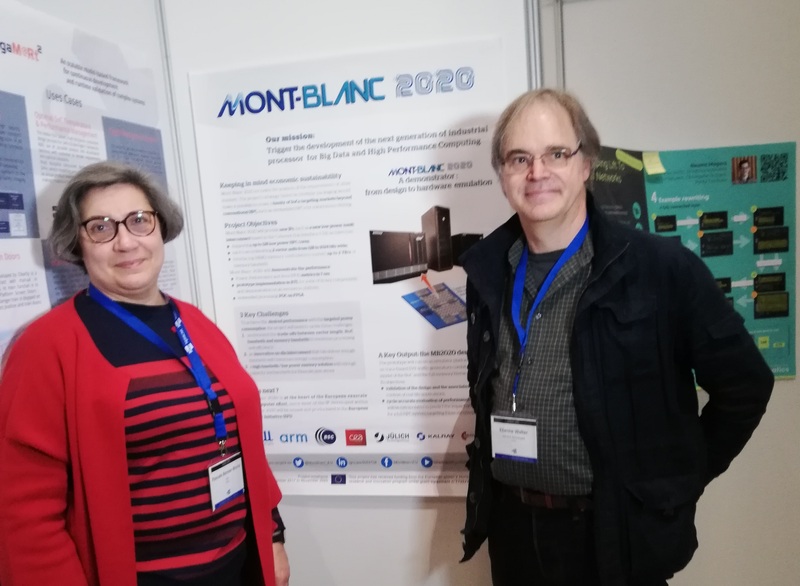 Partners working on the Mont-Blanc project deployed the world’s first ARM-based HPC cluster a few years ago, a prototype based on Bull blades, demonstrating the viability of using ARM technology for HPC. The ARM ecosystem has now reached a maturity with which it can support large HPC configurations, and the HPC community is keen to take advantage of the benefits of ARM processors. With ARM’s recent introduction of its energy-efficient 64-bit CPUs targeting servers, ARM-based supercomputing is now within reach. Atos is coordinating the third phase of the Mont-Blanc project, which aims to define the architecture of an Exascale-class compute node based on ARM, and capable of being industrialized. For their research and evaluations, Mont-Blanc partners will rely on a test platform developed by Atos and will leverage the Bull Sequana X1000 architecture. Atos will integrate and industrialise this platform in its standard product range under the name of Bull Sequana X1310. “The Mont-Blanc partners are delighted by this announcement. We have long been convinced that, due to their energy-efficiency, ARM processors offer tremendous potential for High Performance Computing. We would like to give special thanks to the European Commission for their support throughout our project” said Etienne Walter, coordinator of the Mont-Blanc project. “This project is part of our Exascale program for 2020, under which we are developing a new generation of supercomputers. Numerous institutions and private companies throughout the world use Atos technologies to accelerate research and innovation. Atos designed the Bull Sequana X1000 system as an open platform, to offer HPC users a large choice of computer architectures from which to choose, and to support the future processor technologies that will make it possible to reach the exaflops level. It is therefore a natural step to extend the range to include ARM processors, together with the existing CPUs, core processors and co-processors” explained Agnès Boudot, Group VP, Head of HPC at Atos. Atos supercomputers’ high-data volume processing capabilities are also maximized within Atos’ Big Data services including “Atos Codex”, an integrated end-to-end analytics solution including predictive computing and cognitive analytics. The Bull Sequana X1310 blade includes three compute nodes, each equipped with two latest generation 64 bit ThunderX2 processors from Cavium®, based on the ARM® v8 instruction set. The new model will be available in Q2 2018. Atos is a Platinum Sponsor at the ISC High Performance Annual Conference that takes place in Frankfurt from 19th-22nd June 2017, and will exhibit the full breadth of its High Performance Computing offer on booth #D-1126. Follow the developments online at @Atos and @Bull_com.